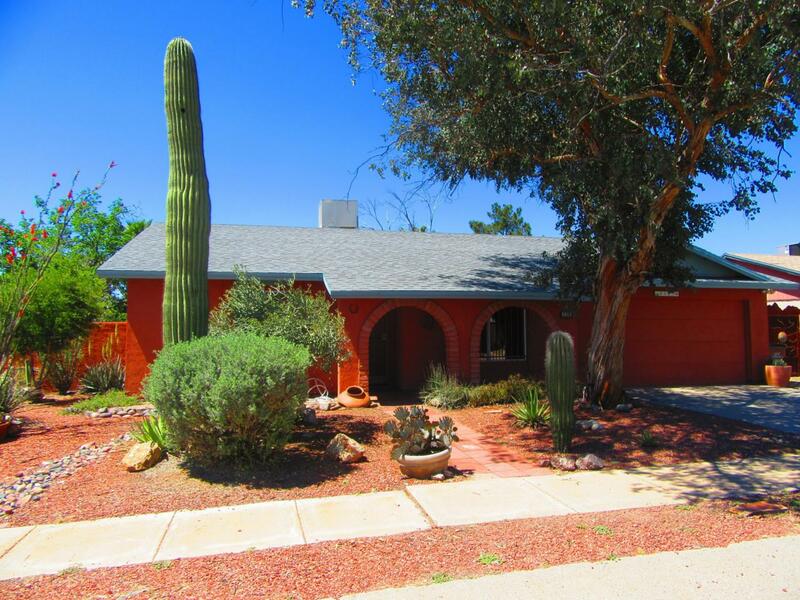 Southwestern charm with a wonderful oversized back yard with pavers, mature plants and trees, a long covered back porch and a view to the Tucson Mountains! Saltillo tile throughout. Front sitting room with indoor planter. 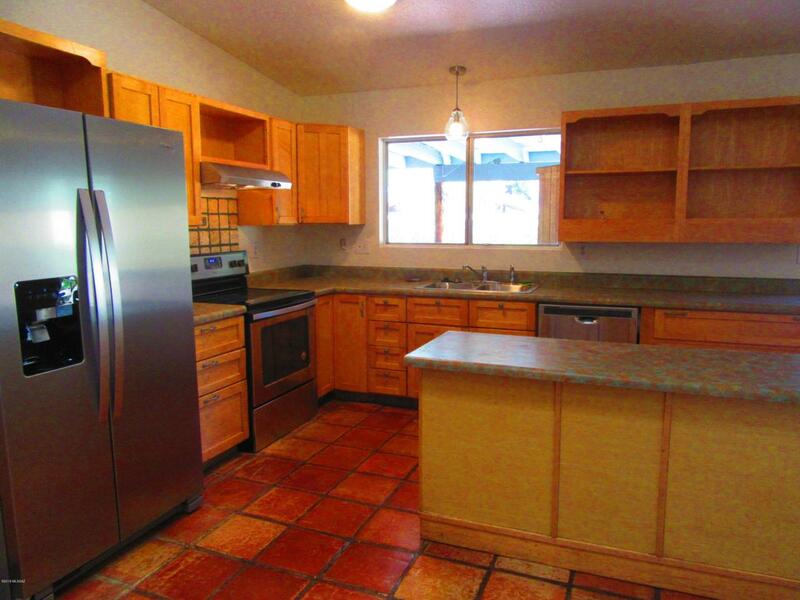 Brand new Stainless appliances including side by side fridge with ice maker, stove, dishwasher. 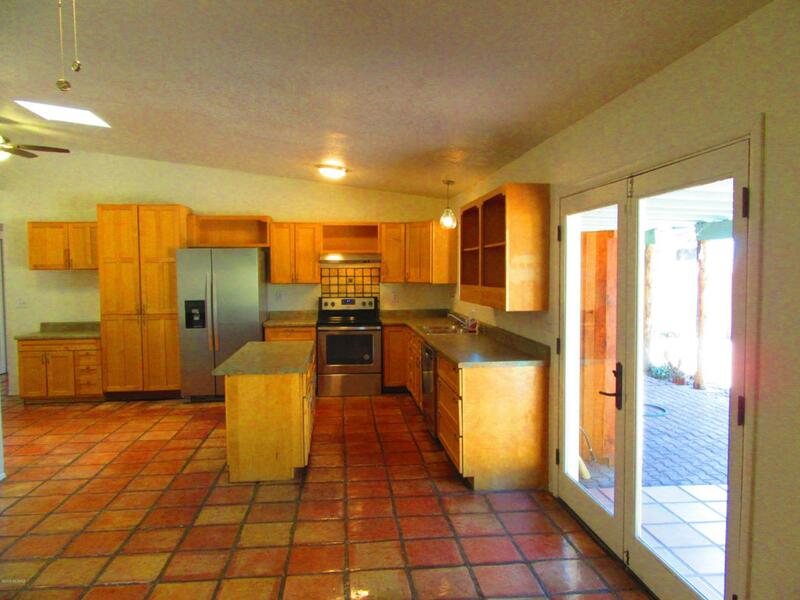 Cook's kitchen with lots of newer cabinets, an island, double sink all in a great room with french doors that open to the back very private patio. 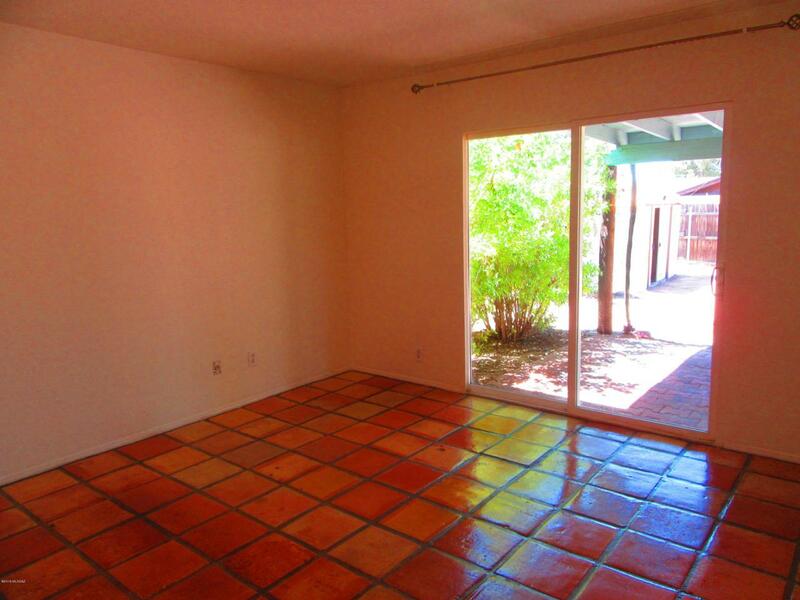 Large master bedroom with sliding doors to covered patio. Garage has been converted to a room and could easily be turned back into a 2 car garage. Close to all amenities! Security wrought iron. Home is bright!